I am looking forward to our trip to Disney World later this month. It will be just my husband and me (we are both running a Disney 5K). 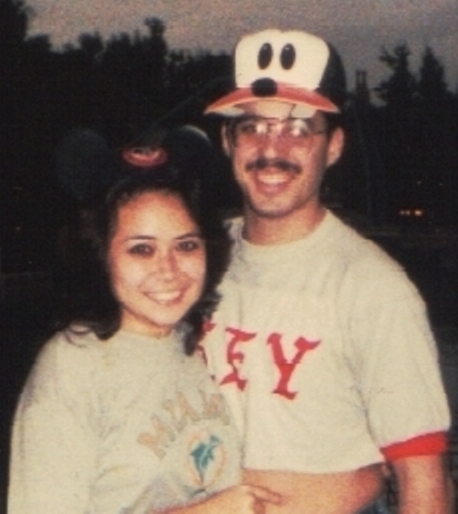 1984 was the last time we were in Disney by ourselves— for our honeymoon. I think I am looking forward to this trip because I get to spend some alone time with my husband. I truly am happy to be married. I think our marriage is the strongest now than it has ever been in the past. What made the difference is that we read the Bible and pray together every day— something we’ve only been doing for a few months now. I thought about the couples I interviewed for my dissertation, and how almost all of them said that their marriages were stronger because of their Bible reading and prayer time together (http://digital.library.sbts.edu/bitstream/handle/10392/3736/Trascritti_sbts_0207D_10064.pdf?sequence=1). Bible reading and praying together was something that we had never really did before, but I am glad that we started. If you are married, then start reading the Bible and praying together— it will change your marriage.